At the time of Christ there were the Sadducees, the Pharisees, Roman rulers, tax-gatherers, etc. It seems there has always been the oppressed and the oppressors. The ACLU is just another group that twists the law to their advantage to help their masters gain control of everyone. 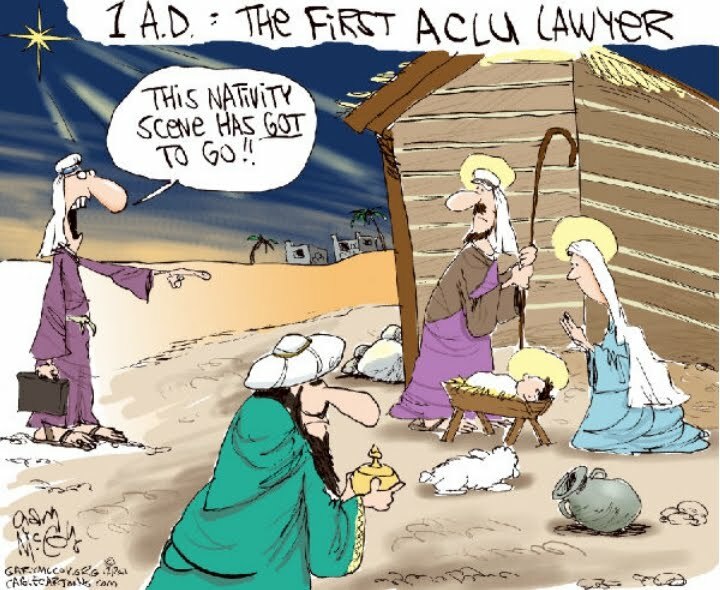 What gives me comfort is knowing it is easier for a camel to pass through the eye of a needle than for an ACLU member to enter the Kingdom of God!